Spectrum Travel Insurance is a division of Citybond Holdings Ltd. which has been specialising in providing travel insurance since 1983. 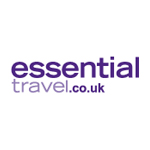 Essential Travel Our Travel Insurance product offers a comprehensive, great value, quick and easy online solution to Travel Insurance. JS Insurance is part of Jade Stanley Ltd and is one of the leading providers of travel and other insurance products for UK and EU Residents. JS Insurance offers 17% on insurance sold. (120 day cookie). We also offer travel insurance for persons aged between 65 and 75 years with pre existing medical conditions.